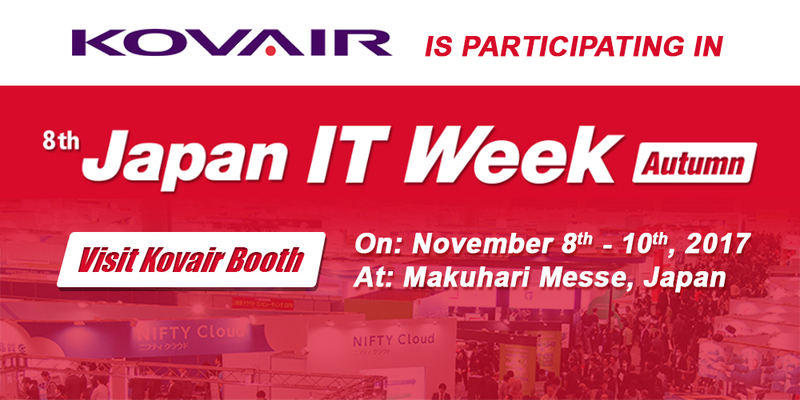 Kovair Software will be participating this year for the first time at the Japan IT Week 2017 from November 8 to 10 at Makuhari, Messe at Chiba in Tokyo area (Block no – 12-28, Table no – T3). The event is expected to have more than 650 companies participating as exhibitors and expects to draw over 5000 attendees. 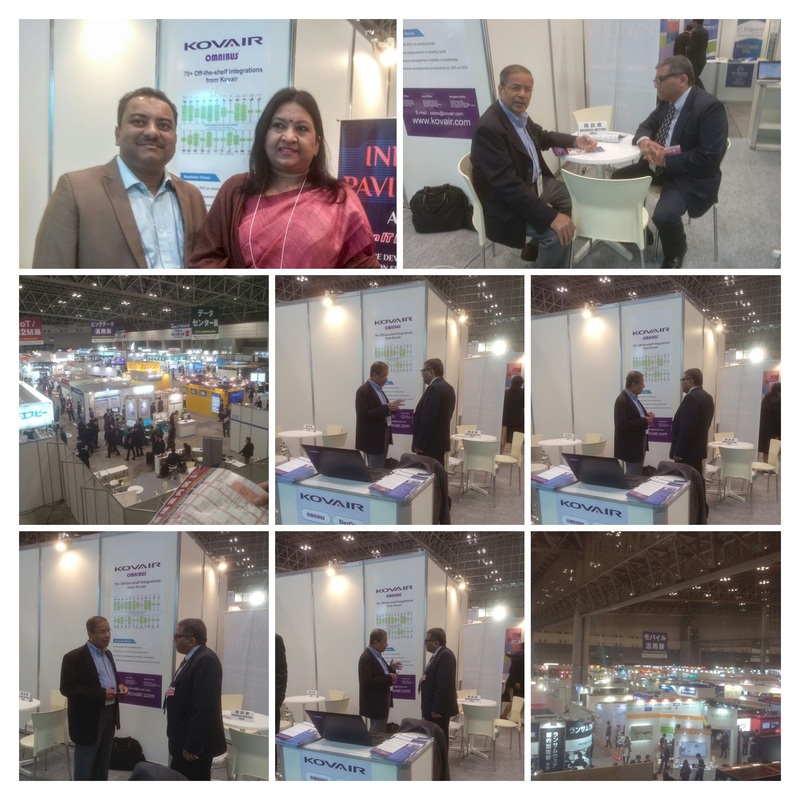 Kovair will have two high level executives attend the event with its CEO & Chairman Mr. Bipin Shah who has done business in Japan in the past and is based in Silicon Valley and its Director of Major Accounts and Partnerships Management Mr. Amit Dasgupta. Kovair’s two flagship products, the Omnibus Integration Platform with its more than 75 multi-function and multi-vendor off the shelf integrations and DevOps product are going to be highlighted at the event. With its major successes with some very large and reputable companies in the US, Europe and India, Kovair is now seeking to expand its business in the Japan market. We will have our presence in the Software Development section of the IT Show. Two main purposes for participating in the Japan IT Week 2017 are to expose our products to the customer prospects in Japan who can benefit significantly in the delivering high quality software with higher productivity and more automated methodology with Kovair tools. To serve the Japanese customer prospects with local support and Japanese language business model, we are also seeking high quality resellers that know the software development tools market in Japan and have a presence in it by their association with other tool vendors. So, during our presence at the IT Week 2017, we will be very happy to talk to all such prospects that would be interested in becoming our authorized resellers in Japan. Please send such requests by email to bipinshah@kovair.com even prior to the event so that we can set up advance appointments.